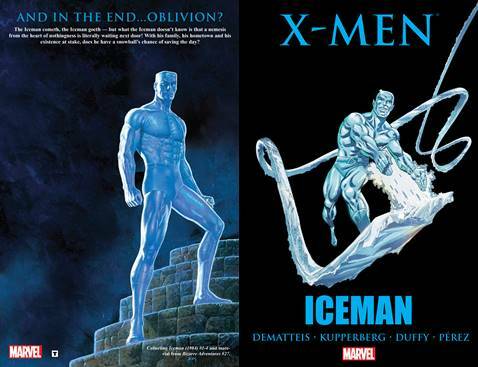 Collects Iceman (1984) #1-4 and material from Bizarre Adventures #27. Bobby Drake, the X-Men's coolest hero, gets the spotlight all to himself in a fun-filled, time-tripping adventure taking him from the safety of his parents' home to a point in time decades before he was born. Family issues, alien beings, miniature time machines, and a struggle against the deadly and enigmatic being known as Oblivion all play a part in a story illustrating just how powerful a force of nature Iceman can be on his own!